4 Beds 3 Baths 1 Partial Bath 1,592 Sq. ft. Beautifully remodeled home with stunning canyon views & large patio with pool, ideal for lounging with family or entertaining friends! Remodeled with today's lifestyle in mind, the lower level features an open floor plan with sprawling chef's kitchen with light quartz counters, white tiled back splash, expansive island with breakfast bar, dining area and living room with an inviting fireplace. French doors lead to the back patio with views extending across the canyon, and beyond. (See Supplement) Bedrooms and bathrooms are tastefully designed with light colored and brushed nickel finishes and generous closet space, including mirrored sliding doors throughout. 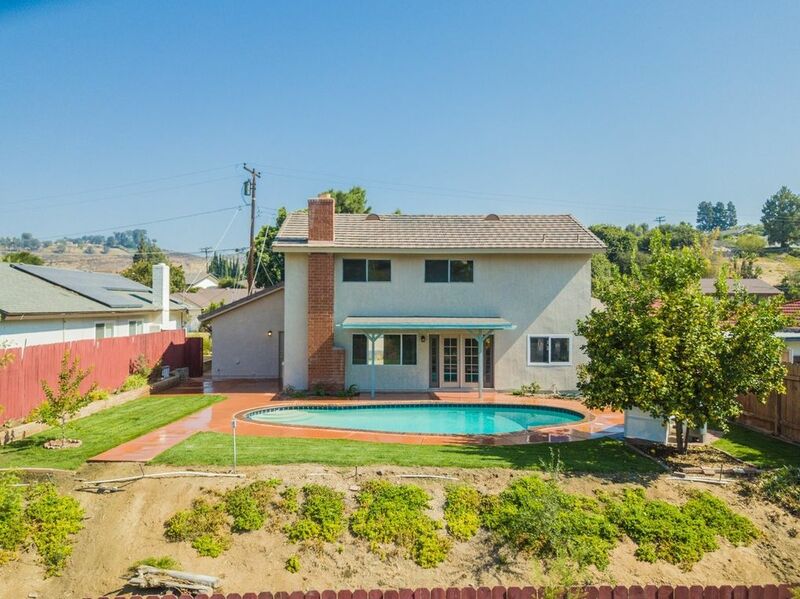 The canyon location makes this home unique in the neighborhood and is a must see.